Some of the world's biggest PR firms are fighting a rearguard action to protect the reputation of the Sackler family, which is at risk of being irreparably damaged by the opioid crisis and scandal in the US. In the early 1950s, brothers Arthur, Mortimer and Raymond Sackler, all doctors, bought a small pharmaceutical firm that they built into what is now Purdue Pharma. The company, now privately owned, mostly by descendants of the brothers, has made billions out of the success of prescription painkiller OxyContin, which it launched in 1996. The profits from the drug have helped make the Sackler family one of the world’s richest families, with an estimated £13bn fortune. But in recent years the drug has been the subject of mounting controversy, and dubbed 'hillbilly heroin' due to it being more addictive than morphine. It is blamed, along with other opioids, for a major public health crisis in the US in which several hundred thousand people have died from overdoses. 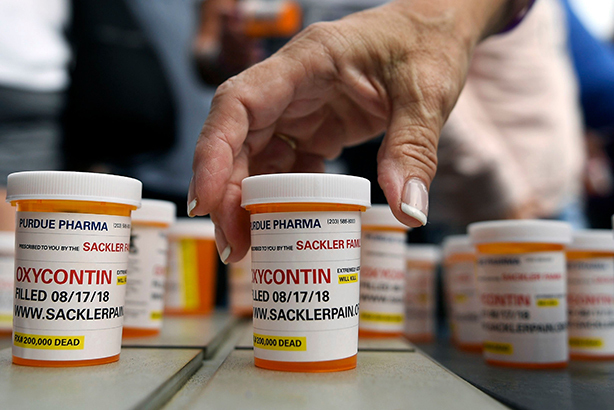 Purdue Pharma has subsequently become the focus of more than 1,000 lawsuits across the US, some of which mention members of the Sackler family. Nonetheless, as with many families, the Sacklers are an extended group of relatives – not all of them are involved in the business their ancestors built, nor have they all benefited financially from the sale of OxyContin. Davidson Goldin, founder of Goldin Solutions, is representing the Raymond Sackler branch of the family, while Sard Verbinnen is acting for the Mortimer Sackler side. Teneo is working for Purdue Pharma, and Edelman is handling PR for the Sackler Trust and Dr Mortimer and Theresa Sackler Foundation in the UK. The agencies are facing a major challenge because the family’s philanthropic efforts are also the subject of controversy, as critics claim that the Sacklers' gifts have amounted to 'reputation laundering'.
.@nangoldin1 on Why the Art World Must Shun #Sackler Money. As leading arts institutions decline donations over opioid links, the artist and activist on why the age of using culture for ‘reputation laundering’ is over. Amid continuing negative publicity, in the past two weeks high-profile organisations such as the Prince’s Trust, National Portrait Gallery and the Tate have decided to accept no more money from the Sackler family. BBC arts editor Will Gompertz commented: "Arts bosses and their trustees have been weighing up if the financial benefit of a Sackler gift is worth the reputational risk (and associated hassle that comes with it)." The Sackler Trust and the Dr Mortimer and Theresa Sackler Foundation recently announced that they had suspended making any new donations. In a statement, Dame Theresa Sackler, chair of The Sackler Trust, said: "The current press attention that these legal cases in the United States is generating has created immense pressure on the scientific, medical, educational and arts institutions here in the UK, large and small, that I am so proud to support. This attention is distracting them from the important work that they do." She added: "The Trustees of the Sackler Trust have taken the difficult decision to temporarily pause all new philanthropic giving, while still honouring existing commitments." Last week Purdue Pharma reached a $270m settlement, without admitting liability, in a lawsuit brought by the state of Oklahoma, which claimed the company's opioid products contributed to the deaths of thousands of people. Yet it still faces hundreds of other lawsuits. In an open letter on its website, Purdue Pharma says: "We are aware of the risks opioid pain medicines can create: even when taken as prescribed, they carry risks of addiction, abuse, and misuse that can lead to overdose and death." It outlines various steps it is taking to address the issue, such as supporting attempts to limit initial opioid prescriptions to no more than seven days' supply. In addition to using its website as a one-stop shop for outlining the company’s position, Purdue Pharma has placed sponsored content by company executives in media outlets such as the Washington Post and New York Times, and health website Stat news. A source close to the company said: "It’s a real crisis out there and we are trying to communicate the policies we are supporting to address the crisis." Purdue Pharma has been dealing with the controversy surrounding OxyContin for more than 20 years. In 2007 a US federal judge sentenced three Purdue executives to community service and fined the company $634m after it pleaded guilty to misbranding OxyContin with the intent to defraud or mislead. During the current crisis, the company’s key messages are denials of liability, that it has changed the way it markets OxyContin, how it is working to be part of the solution, and that the Sackler family is not one homogenous group. A source close to Purdue Pharma told PRWeek: "We are trying to demonstrate to those folks that often criticise us that we want to come to the table, we want to help bring solutions forward to address the crisis. We understand that there's a real public health challenge out there and we want to help be part of the solution." This includes a decision made last year by the company to stop "promoting opioid medications to prescribers through sales representatives". Purdue Pharma is tackling the criticism head-on, with an entire section on its website dedicated to 'addressing the crisis' and setting out the various ways in which it is trying to become part of the solution to the problem. While the scandal continues, with further legal battles being fought, scrutiny of the beneficiaries of the firm’s profits will remain fierce – and this includes those organisations that have benefited from Sackler family donations over the years. Beth Gaudin, senior consultant at Forster Communications, an agency which includes Astellas Pharma as one of its clients, commented: "Philanthropy alone will no longer save or grow a reputation – it does matter how companies generate their profit, and increasing scrutiny will be paid to how companies act rather than how much they donate to good causes." She added: "All charities will be weighing up the true 'value' of donations – are they really worth the damage of being associated with a toxic brand? For many, the answer is, increasingly, no."